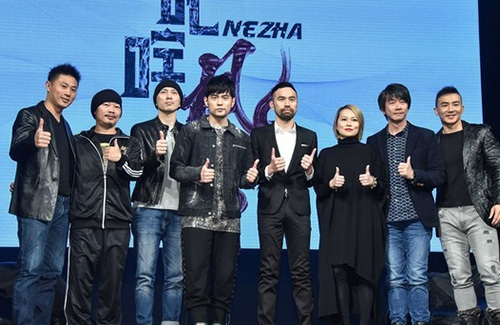 A crew member working on the set of Jay Chou’s (周杰倫) new racing movie Nezha <叱咤風雲> has died on Thursday after incurring head injuries from a fall. Unfortunately, the crew member eventually succumbed to his injuries and passed away on the early morning of November 29th. Nezha, a film about auto racing, reportedly has a budget of over 100 million yuan. Produced by Jay and Will Liu (劉畊宏), the film also stars Jay’s wife Hannah Quinlivan (昆寧) and Tsao Yu-ning (曹佑寧). The film is inspired by the 2005 Hong Kong film Initial D <頭文字D>, Jay Chou’s film debut. Nezha is directed by Jem Chen (陳奕先). Sorry for him and his family! I don’t understand how he die though, is it unknown? Meaning it’s from a slip to the ground? Or from the car demonstration? @davy the way i read it was, he slipped on the wet ground, hit his head, sustained a head injury/concussion. This may have lead to bleeding in the brain, but he has since died. At the time of the accident, they were working on a scene involving a car demonstration in the rain (hence the ground was wet).